So, I've figured something out. According to his bio, Lee Child is British. He's chosen to write about an American MP and he hasn't mastered a lot of the lingo. Things that are silly but tend to take me right out of the story. Things like calling an Oldsmobile 4x4 a jeep. Repetitively. Terminology about weapons and calibers. They just don't ring true. 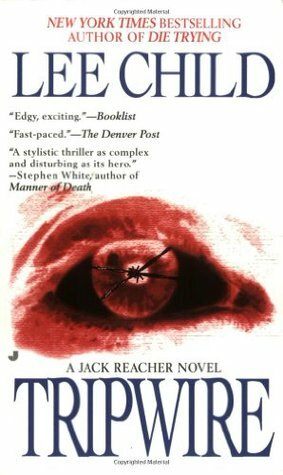 However, tripwire was by far the best story in the Jack Reacher books so far and I'll read several more before I decide one way or the other. Sign into Goodreads to see if any of your friends have read Tripwire.